Krotoa, a feisty, bright, young 11-year-old girl is removed from her close-knit Khoi community to serve Jan van Riebeeck, her uncle’s trading partner. Brought to the first Fort established by the Dutch East India Company in 1652, she grows into a visionary young woman assimilating the Dutch language and culture so well that she rises to become an influential interpreter for van Riebeeck, the first Governor of the Cape Colony. Can Krotoa avoid being rejected by her own Khoi people and destroyed by the Dutch when she tries to find the middle way between the two cultures? The idea of beauty has become globalised, creating homogenous aspirations, and distorting people’s self-image across the planet. 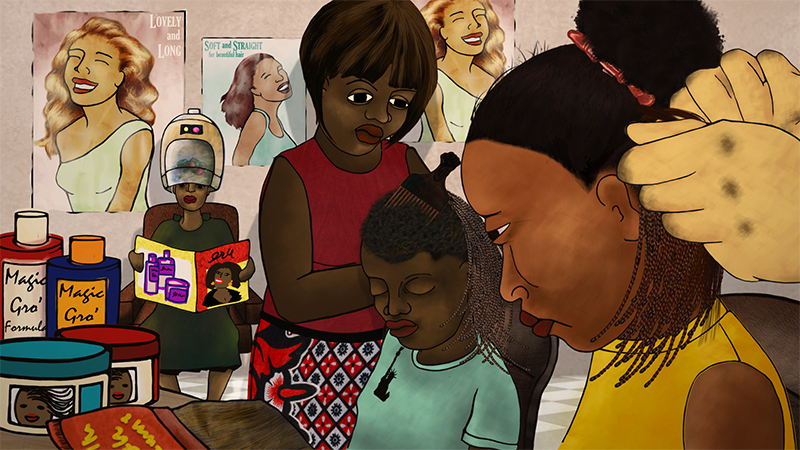 Yellow Fever focuses on African women’s self-image through memories and interviews.